Sun Island Bali proudly presents White Rose Kuta Resort, Villas & Spa at the central of touristic destination, Kuta-Legian area. 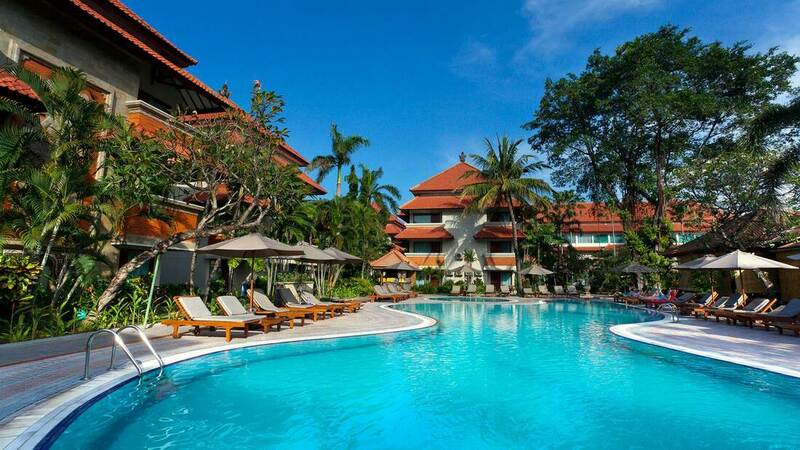 The Kuta resort offers Balinese-style accommodation with a modern touch, and heartwarming service at affordable value. Stretched within 1.6 ha of tropical lush gardens, White Rose Kuta Resort, Villas & Spa is strategically located in the heart of Kuta-Legian, at a walking distance to the famous Kuta Beach, a few steps away from the Ground Zero and Poppies Lane 2, and Bali’s most famous clubs. 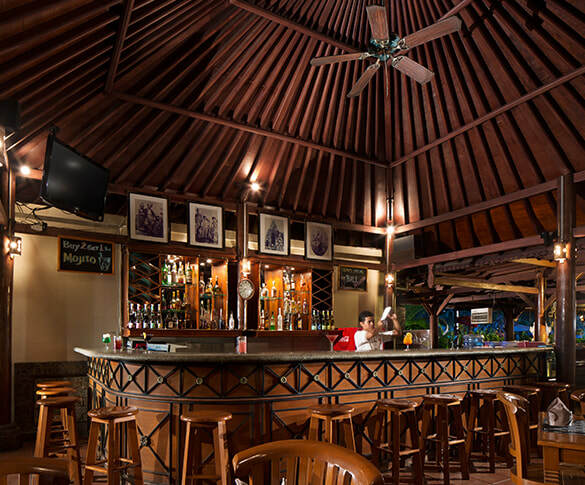 The Kuta resort is only 15 minutes away from Bali’s International Airport. Designed in Balinese-family-style units, each room is spacious iand features its own private balcony with a shared living room. Enjoy the view of the resort’s lush tropical garden from your spacious balcony. Each of the Standard Rooms is a comfortable choice for your accommodation in Bali, measuring 28 square meters. Our comfortable signature Hollywood bedding setup (2 single beds integrated into 1) is covered with sine linen that gives you utmost comfort troughtout your stay. One living room is shared among 3 Standard Rooms in each of the Balinese-family style units. Enjoy the view of the resort,s lush tropical garden from your spacious private balcony. Each of Deluxe Rooms measures 32 square meters, and is set up with a full range of facilities & amenities to indulge guests. The contemporary style interior creates a homey ambiance and utmost comfort throughout you’re your stay. 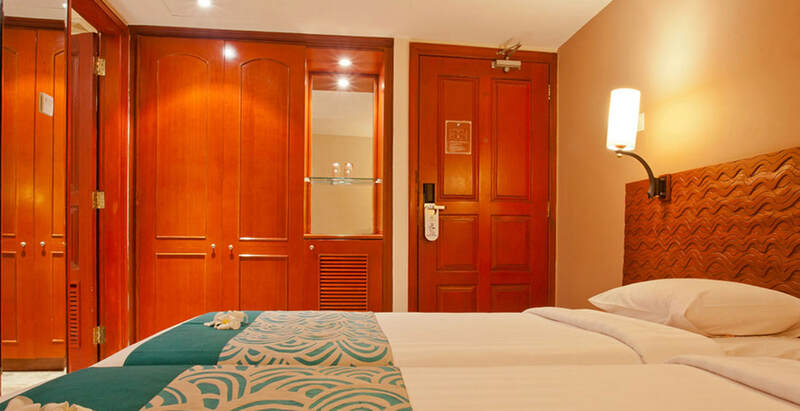 Deluxe Rooms are located on the ground level, 2nd floor and 3rd floor enjoying a pool view. 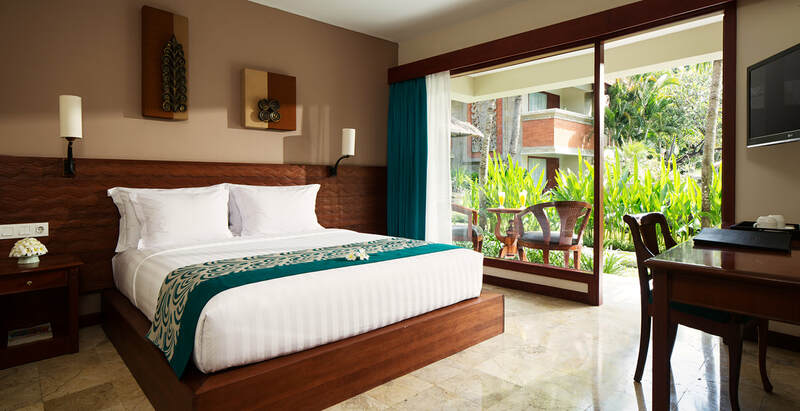 The Deluxe rooms at the Kuta Resort are exactly of the same convenient facilities as the Standard rooms. The interior of Balinese contemporary style is promising the utmost comfort throughout your stay and most of the amenities are similar with the Standard room, with additional coffee and tea making facilities and luxurious bathrobes at your disposal. The Deluxe Rooms on the ground floor have direct access to the lush tropical garden of the hotel, while the ones on the second floor and third floor enjoy pool views. You would have a terrace or a balcony, and a shared living room once you step out of the room. 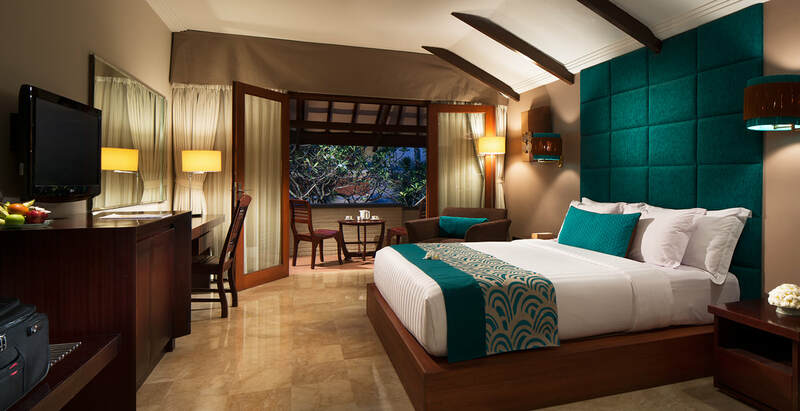 Super Deluxe rooms are designed with tranquility of a tropical nature in mind. All rooms are located on the ground floor, some nestle right in the middle of lush topical garden and some others overlooking the main safety box. 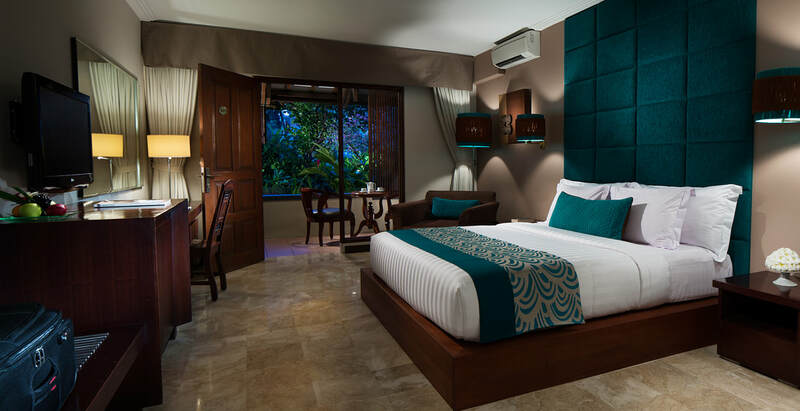 The 4 units of Super Deluxe Rooms at White Rose Kuta Resort, Villas & Spa are newly renovated and designed with a tranquility of nature in mind. Inspired by the Balinese Family-bonded living units, each room nestles in the middle of the garden and brings you a special warm and homey sensation. 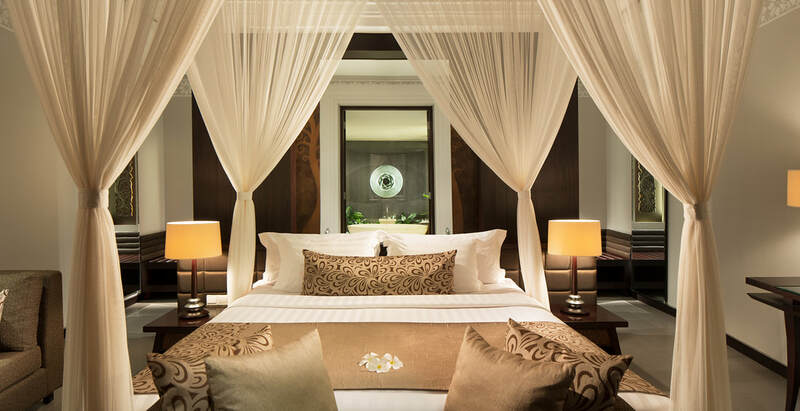 Super deluxe rooms are located in the ground floor, all with luxurious king-size bedding. Some of the rooms are appointed with tropical garden view, and some other have the main poo view. White Rose Kuta Resort’s Family Suites are all families favorite. Each suite is a 2 storey unit consisting of master bedroom & second bedroom with bathrooms, living room and pantry. It is delicately furnished in elegant timber and neutral tones, with turquoise accents, evoking a soothing atmosphere. 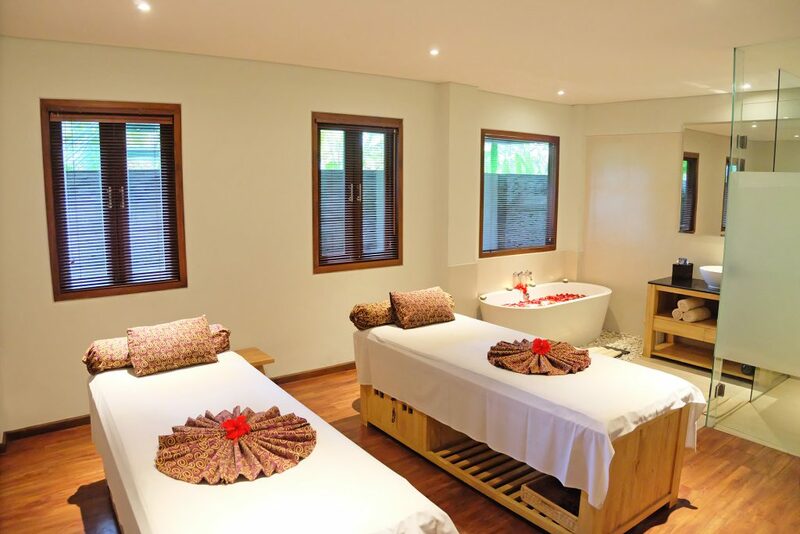 The sophisticated 5 units of Pool Villas are the gems of White Rose Kuta Resort, Villas & Spa. Surrounded by the lush garden, each of the villas is a secluded private unit, measuring approximately 60 square meters, complimented by a private plunge pool and a private terrace where high afternoon tea is served as the highlight of your vacation in Bali. The stunning marble bathroom comes with an exotic outdoor shower and a double vanity with sliding mirrors. The interior is elegantly decorated in soft, luxurious colors, highlighting the fine lifestyle. A combination of ultimate privacy, comfort and elegance at once each of our Pool Villas is a luxurious retreat for couple and honeymooners seeking a romantic escape in Bali. At Island Spa, you will be taken to connect with your inner self and feel the flow of the universe within you. Island Spa uses selected products using ingredients extracted from nature’s generosity. By each of the specially designed treatments, you will experience how your body and soul evolve with the universe and rejuvenate themselves, leaving you in refreshed, happier spirit. 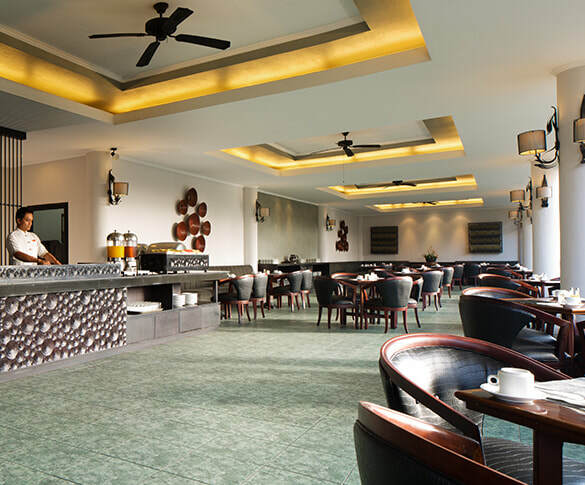 Start your day afresh at Lotus Restaurant, opening daily from 6.30am to10am. Enjoy the full-range of American breakfast buffet style in the restaurant that is located on the second level, just above the lobby. Our main restaurant opens from 10am to 11pm, serving a variety of International cuisine that will indulge your palate throughout the day and offer a dynamic ambience in the evening with live music.